Do YOU believe in mermaids? You will when you set sail on a magical full-length adventure under the sea with Sofia The First!After Sofia helps a little mermaid named Oona, Sofias amulet grants her the power to transform into a mermaid and visit her new friends secret underwater kingdom. But when Cedric (disguised as a seamonster) plots to steal Oonas enchanted Mermaid Comb, danger surfaces for both worlds. 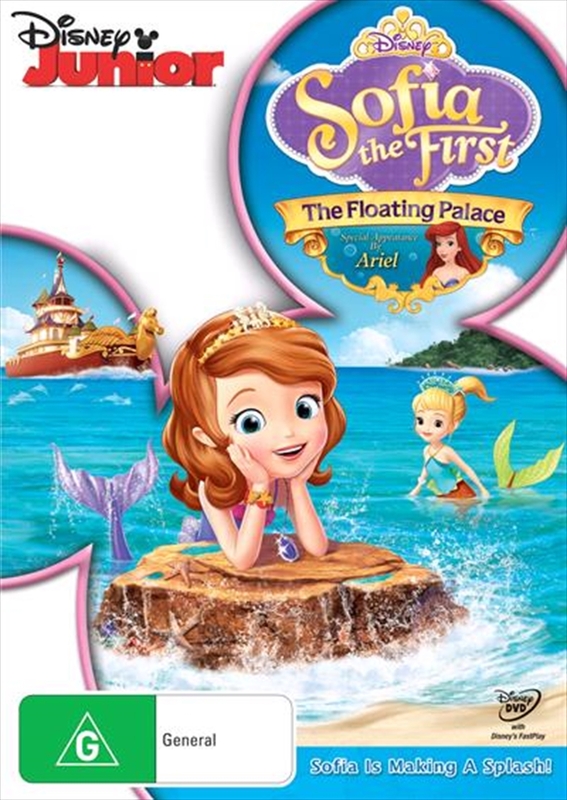 With a little help from special guest, Princess Ariel, Sofia embarks on an adventure to rescue Oona and prevent a typhoon before its too late.Overflowing with oceans of song-filled fun The Floating Palace proves that when families and friends work together, they can weather any storm and save the day!